The win comes 17 years after Priyanka Chopra brought home the coveted title in the year 2000. 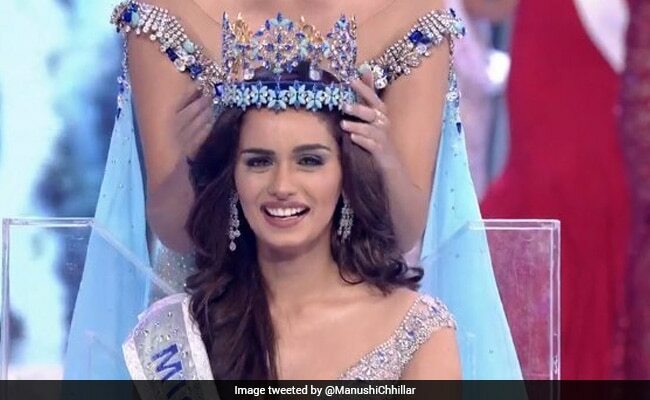 India's Manushi Chhillar has won the Miss World beauty pageant for the year 2017. The win comes 17 years after Priyanka Chopra brought home the coveted title in the year 2000. Andrea Meza, who is Miss Mexico was the first runner up and Stephanie Hill from England was second runner up. Around 108 women from across the world participated in the beauty pageant. Ms Chhillar, a 20-year-old from Haryana, studied in St. Thomas School in New Delhi and Bhagat Phool Singh Government Medical College for Women in Sonepat. According to Ms Chhillar's profile on the Miss World website, Ms Chhillar aims to be a cardiac surgeon and has plans of opening non-profit hospitals in rural areas. Ms Chhillar's profile also says she is a trained classical dancer and has a passion for outdoor sports like scuba diving, snorkelling and bungee jumping. After reaching the top five, Ms Chhillar was asked during the Question and Answer round, which profession she thought deserved the highest salary and why. Replying to the question, Ms Chhillar said it was not a question about a person's salary and that a mother was worthy of the highest respect. "I think a mother is of highest respect. I don't think its just about cash but love and respect she gives to someone. She is the biggest inspiration in my life. Mother should get highest respect." Many people took to Twitter to congratulate Ms Chhillar. 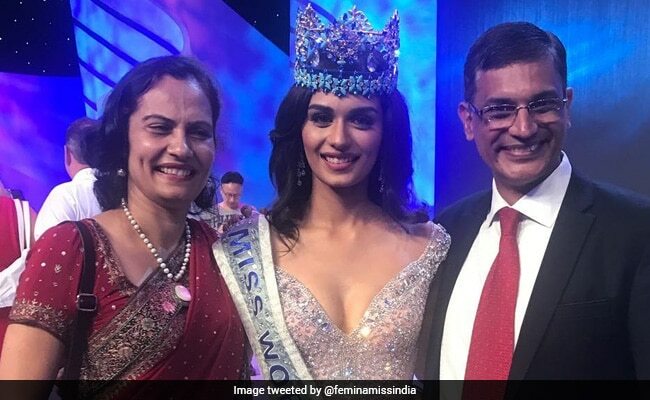 Congratulations @ManushiChhillar! India is proud of your accomplishment. Ms Chhillar is the sixth Indian woman to win the coveted title of Miss World. Reita Faria was the first Indian woman to claim the title back in 1966, followed by Aishwarya Rai Bachchan in 1994, Diana Haydon in 1997, Yukta Mookhey in 1999 and Ms Chopra in 2000. The winner of last year's title, Puerto Rico's Stephanie Del Valle passed on her crown to Ms Chhillar.